Glasgow has blessed the world with acts like Mogwai, Belle & Sebastian, and Camera Obscura. Recently added to the list is Paws, who have just released their debut LP Cokefloat! 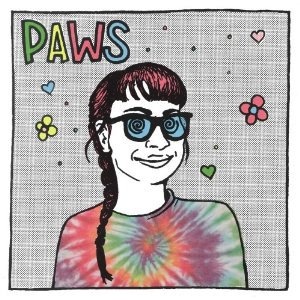 Paws produce somewhat lo-fi garage pop rock. Think Mean Jeans meets our favorite middle school pop-punk acts like Wakefield (yes, I did just refer to Wakefield). The combination does sound strange, but Paws pull it off in such a manner that doesn’t leave you with that feeling of shameful indulgence. With lyrical subjects like break-ups and other youthful melancholy, Paws blends fast paced riffs with poppy verses. “Get Bent” gives the angst ridden lyrics, “If you don’t even know my favorite food or animal, how can I depend on you?” How cute. Lighthearted and fun, Paws’ Cokefloat! is a great debut from the band and shows promise of what is to come from them.